Cabinair Services are an Aircraft Interior Solutions Specialist. With EASA Part 145, FAR Part 145 and TCCA CAR 573 approvals, our services range from simple seat repairs to full provision for seats, carpets, sidewalls, galleys, curtains and PSU on both a planned and unscheduled maintenance basis. Utilising experienced away teams, we can provide cabin interior maintenance, repair, enhancement, overhaul and servicing at the airline’s preferred location or at one of our workshops in Letchworth. Cabinair Services will produce the design MODs and supply quality materials put together by our skilled craftsmen with great attention to detail. Our modern workshop close to all London airports caters for overhaul and repair of all classes of passenger and crew seating for a whole range of aircraft. 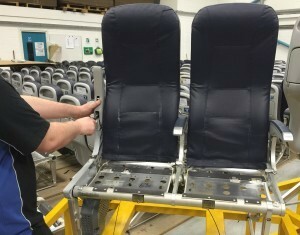 We will undertake an initial seat survey while the seats are still installed on the aircraft, to estimate the scope of work and quantity of spare parts/labour time required. On arrival seats are stripped and cleaned ready for inspection. Comprehensive breakdowns are provided following the detailed survey. This includes, where necessary, new cushion foams, new covers and new and/or repaired plastic trim and IFE integration. Seats are returned to the customer fully overhauled in pristine condition, with Dual Release Form One certification, together with the latest CMM revisions, SB and AD compliance, Combination Burns Test Certs and any other specific certification documentation. SATTO® SA20-21 is used to repair broken or damaged plastics wherever possible. Damaged plastics, whether a hairline crack or a sheared part is SATTO® bonded, prepared, repaired and sent to our paint shop. SATTO® Rapid Repair System for Plastics (SA20-21) is a revolution in repairing damaged cabin interiors, fully complies with REACH, MSDS requirements and sets the industry standard for engineering support with two EASA Approved Technical documents. SATTO® SA30-30 and SA30-40 are used to repair broken and damaged interior composite components. 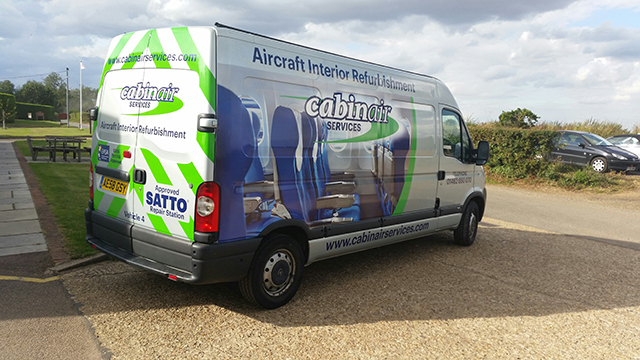 Cabinair Services is the UK’s only SATTO Approved Repair Station. SATTO’s SOLLUX Composite Repair System is a revolution in repairing damaged composite cabin interiors, fully complies with REACH, MSDS requirements and sets the industry standard for engineering support with EASA Approved Technical documents. Complete refurbishment of sidewalls, ceiling panels, overhead bin doors and monuments. We remove existing laminate; we do not laminate over existing – this avoids substantial additional weight to the panels and enables repairs (if necessary) to the composite structure. From shipsets to single panels - prices available on application. Fast turnaround from our Letchworth workshop. Our large interior and repair workshop facilities in Hertfordshire, UK allow us to completely overhaul passenger seat ship sets from assembly to repair. Working to maintenance data and approved drawings, we are able to refurbish a full range of seats and can also incorporate customised features. We will bring your seats back to life with our expertly sewn seat covers. Our seat covers fit perfectly snugly and smoothly without the folds and ridges often found with poor craftsmanship. Seat covers are stitched in fabric or leather of customers’ choice or to branding requirements. All covers are released with approved certification and burns documentation. 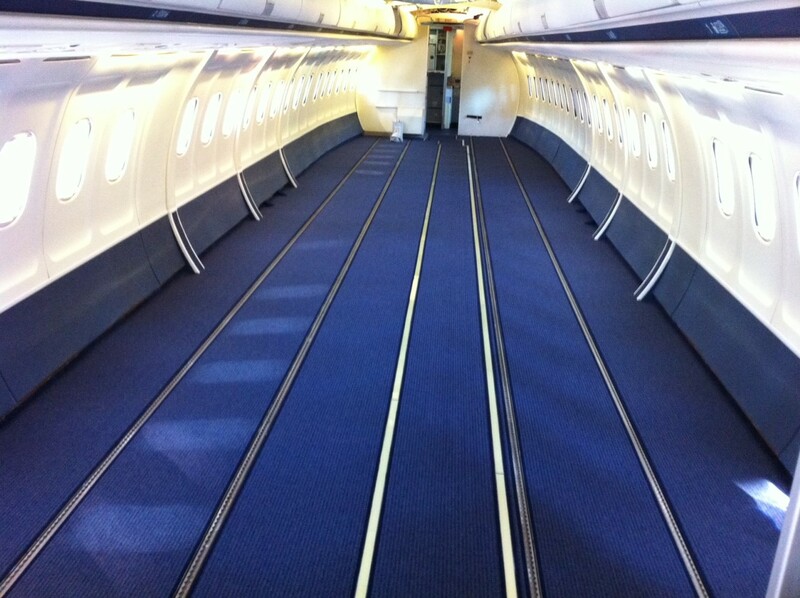 Cabinair Services can supply a range of aircraft carpets to meet customer specific requirements. Working with all major suppliers, we provide the very best in carpet solutions offering a fast response from our vast stock, with the ability to produce and install a ship set within 48 hours. All carpets are supplied cut and overlocked to your specific requirements. We have an extensive aircraft curtain manufacturing capability. 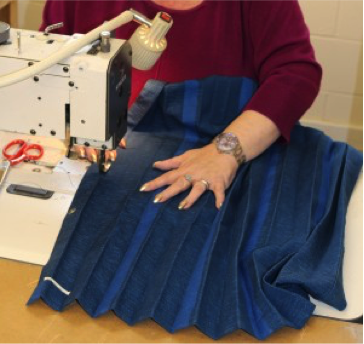 Individually designed to meet customer needs, all styles and sizes of curtains can be manufactured to requirement and produced with very short lead times and from minimal information. We offer either steam pressed or stitched versions. We also offer design and manufacture of the curtain track and structural attachments, including the modification paperwork. 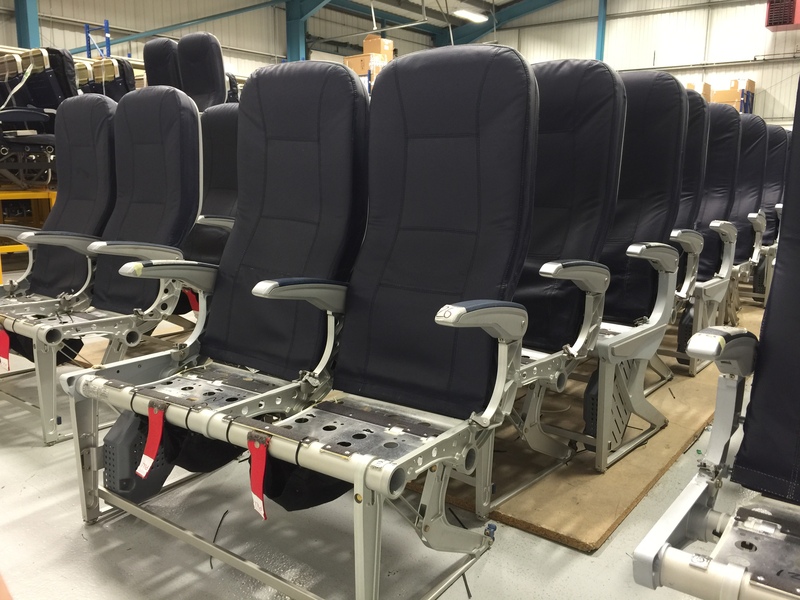 Our transit teams carry out repairs and maintenance to all classes of aircraft seating around the world. We offer full on-wing support at any location to suit you. Our highly skilled team of cabin technicians are happy to perform progressive seat and cabin maintenance within routine aircraft downtimes (transit, daily, overnight and A-checks) at a time and place to suit the airline. SATTO repair teams of fully trained SATTO technicians are a part of our transit teams, carrying out plastic and composite repairs to broken or damaged components on aircraft in situ. Clear your aircraft cabin defect log and let us repair, replace and rectify cabin defects to keep your passengers happy, comfortable and safe. SA Group companies interact and work together to streamline the interface between Group companies and customers. 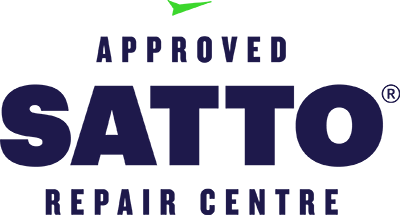 Dealing with any SA Group company is fully supported by the others as one global team is built which customers can access spares, arrange manufacture and access repair and support services from all of the SA Group businesses. 365 Aerospace is SAGroup’s Part 21J design company specializing in global solutions for large aeroplanes; normal, utility, aerobatic and commuter aeroplanes, large and small rotorcraft. Services include consultancy, design, certification, procurement and project management. 365 Aerospace Ltd have capability for Interiors, Airframe, Structures, Avionics and Repairs. The 365 Aerospace Ltd team have strong backgrounds and many years’ experience in producing detailed engineering for both minor and major modifications and repairs. HSM Aero is our manufacturing arm – machining and sheet metal production and assembly, making products to AS9100, ISO9001 and TS16949 standards for customers in the motor industries (including Avdel and Aston Martin) and aerospace industries (including AIM, Lockheed Martin, Ultra, Saywell and BAE). Hi-Lo tables are manufactured by HSM Aero. 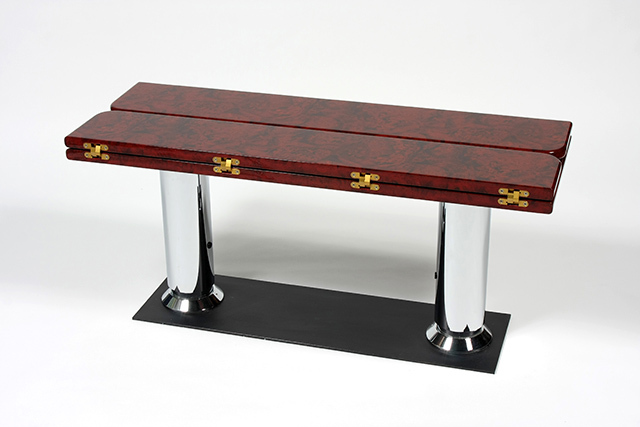 No electric supply is required, and these tables come in three different table top sizes and a range of finishes. They can be stowed in low position for take-off, turbulence and landing. Cabinair, together with Specialist Aviation Spares, holds a vast stock of cabin fittings and furnishings and seat parts. These include class dividers and curtain assemblies, floor finishings, bulkheads and windbreakers, galley fixings, equipment and flooring, toilet assemblies, lighting, etc. We have excellent working relationships with OEMs and suppliers and can quickly source any necessary parts. AOG service available.